If your roof is leaking, your home is getting much too hot during the summer, or your walls are always damp because of poor ventilation, there are several things that might be going wrong with your roof. Fortunately, with the help of the best Springdale roofer experienced in roof repair you don’t always have to get a brand new roof every time. Roof repairs are much less expensive and more convenient. Best of all, if you do your homework properly you’ll know exactly how to find the best roof repair companies for fixing your roofing system fast and cheap. Roof leaks can happen for many different reasons. Depending on the type of roof you own, some of them may be more or less unlikely. However, some of the causes are quite common no matter how old your roof is or what it’s built from. Age is the main culprit. An asphalt shingle roof older than 20 years or a metal roof that’s pushing 60 will usually either need extensive repairs or a complete replacement. Old-fashioned brick chimneys are often the main cause of roof leaks, since the mortar that keeps the bricks together will easily erode when exposed to the elements. 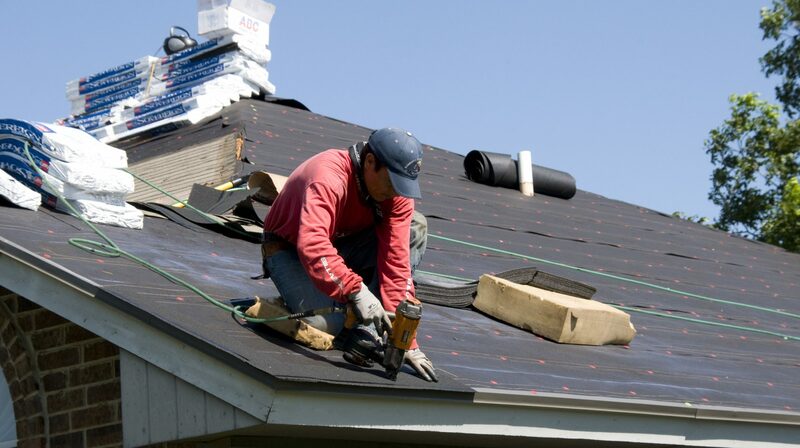 In the case of asphalt shingle roofing, missing or broken shingles are often the cause of the problem. Replacing them is easy, and rarely involves a complete or even partial replacement of the entire roofing system. The thin strips of metal placed at danger points on the roof to protect from water intrusion – also known as flashing – can be one of the main culprits when it comes to leaks and many other problems. Fortunately, replacing the flashing will only cost a few hundred dollars, although the price depends on the amount and quality of material used. In some cases complex roof architecture may be the sole reason why roof repair companies are even needed. With many valleys an independent slopes sealed together, there are many areas where the seal can break as a result of intense rain or broken flashing. Sometimes local roofing experts will recommend that you replace the entire roof. While this isn’t always necessary, it’s important to know when it is actually required. When the roof is too old, for example, a $500 repair that would have increased the roof’s life span considerably 20 years ago might not even last until the end of the year. Extensive damage to the decking and underlayment is another cause for at least partial roof replacement. Also, in some cases, damaged or improperly designed ventilation will require a complete replacement, because some key elements can’t be replaced without scrapping the entire roof and starting from scratch. Localized or surface problems such as broken shingles, holes in the roof, missing tiles or metal panels being bent out of shape will usually just require a repair job if the damage isn’t more extensive. However, the best way to find out is to ask several roofing contractor for an inspection and estimate, then compare their results and opinions to determine exactly what you should do.